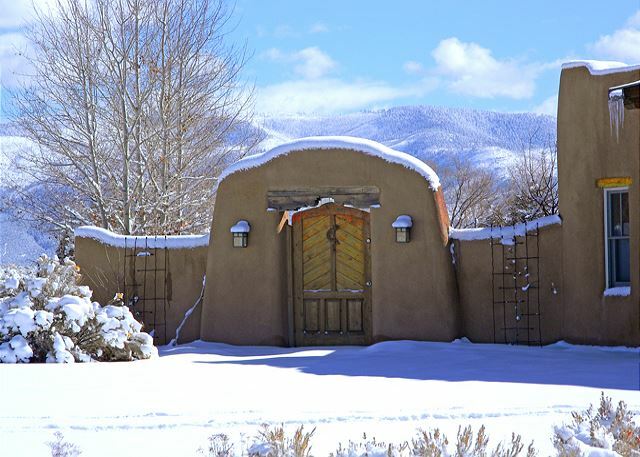 Casa de los Huesos is a brand new and very beautiful Southwest style home with a wonderful view of the Sangre de Cristo mountain range. 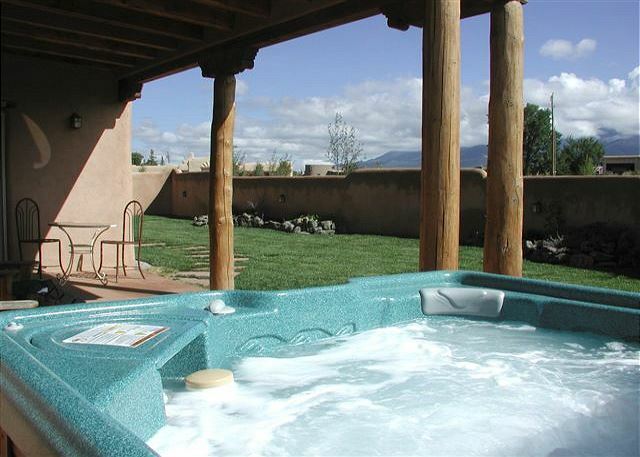 The house has an oversized 2 car garage, private hot tub and a relaxing indoor Jacuzzi tub and separate shower in the master suite. 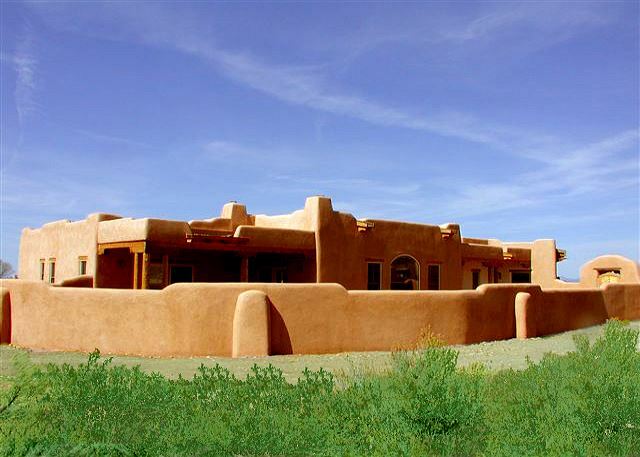 This beautifully appointed home also includes two kiva fireplaces, one in the master suite and the other in the living room and a television and DVD player in every room. 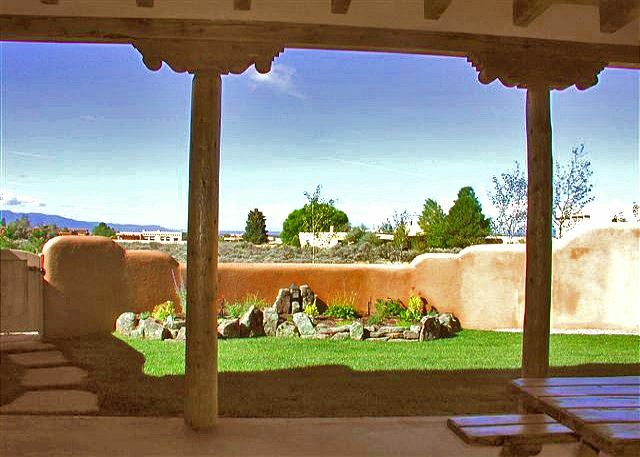 Three patios all enclosed by adobe privacy walls offer a lot of extra privacy and outdoor living space. 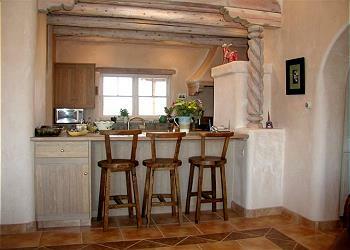 The upscale kitchen is extremely well equipped and boasts upgrade dinnerware for elegant southwest entertaining. 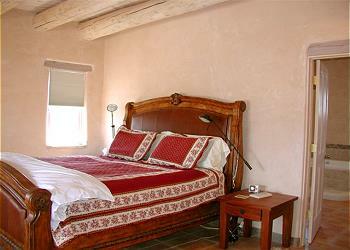 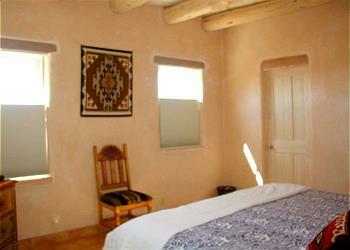 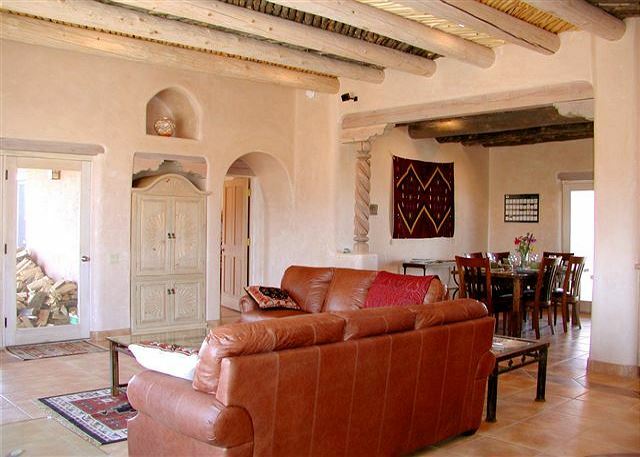 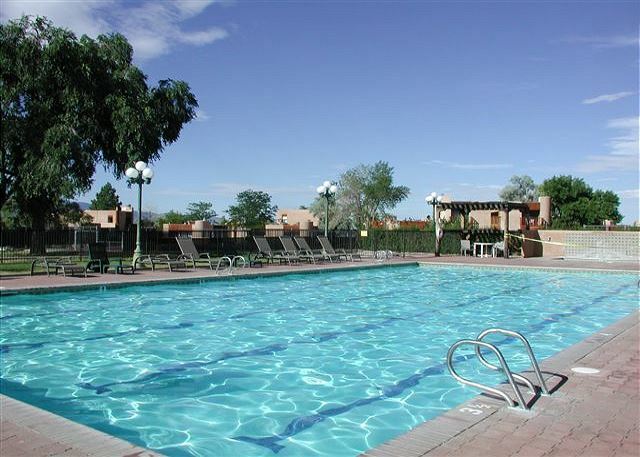 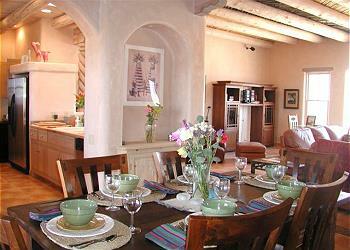 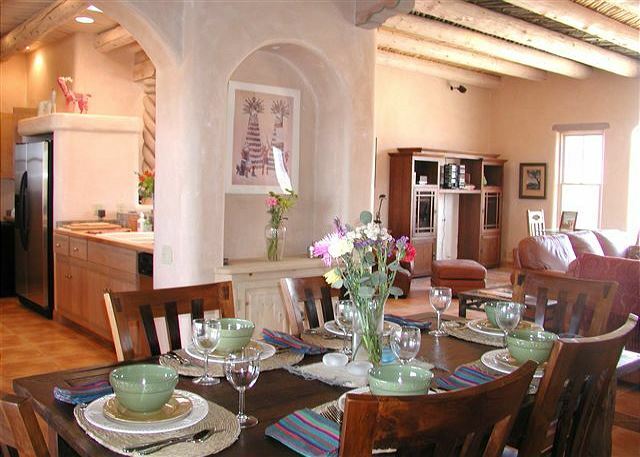 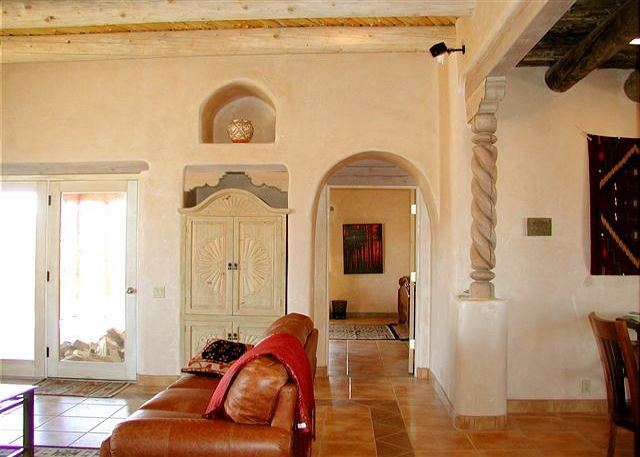 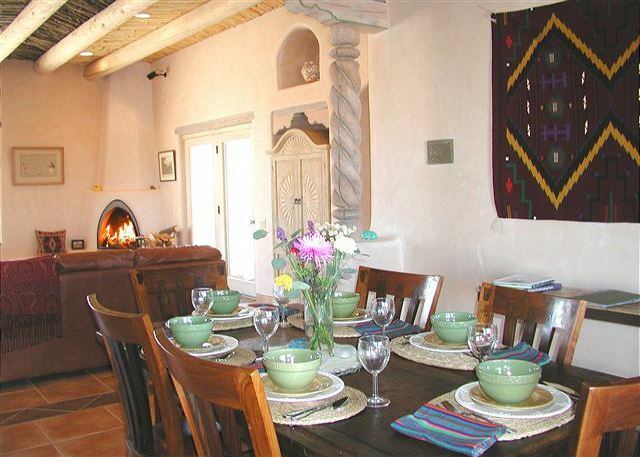 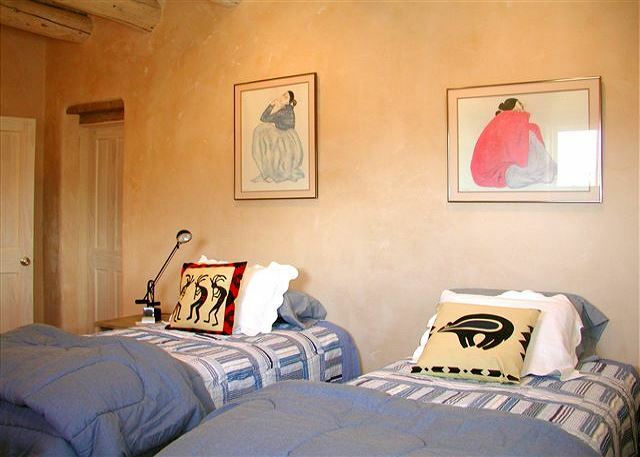 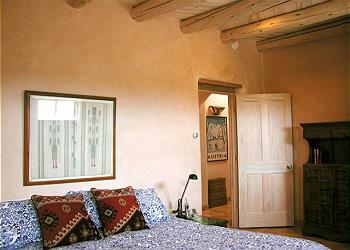 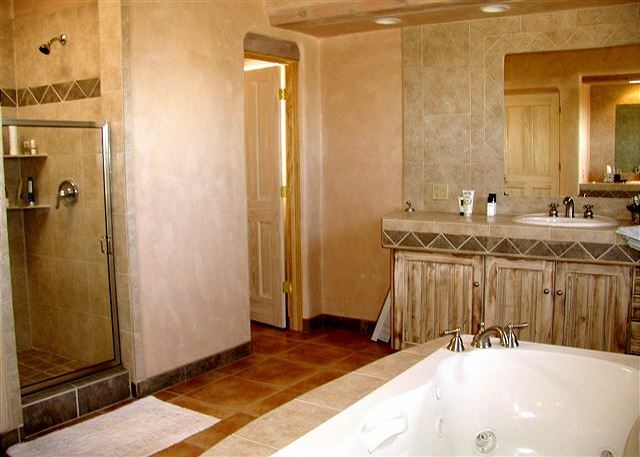 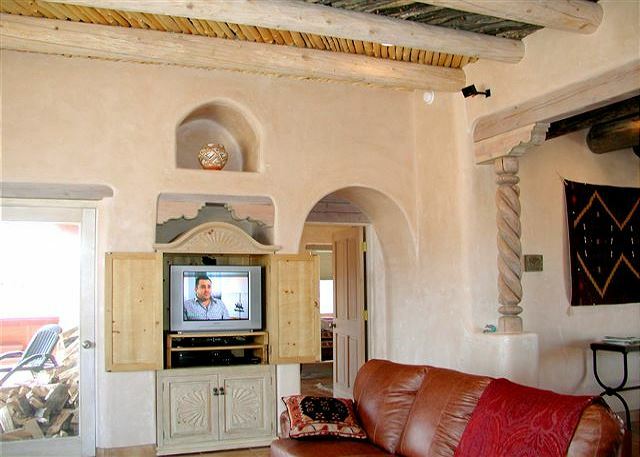 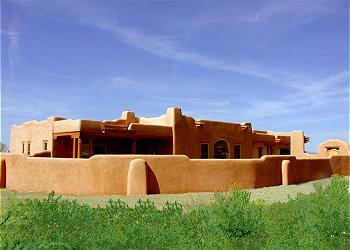 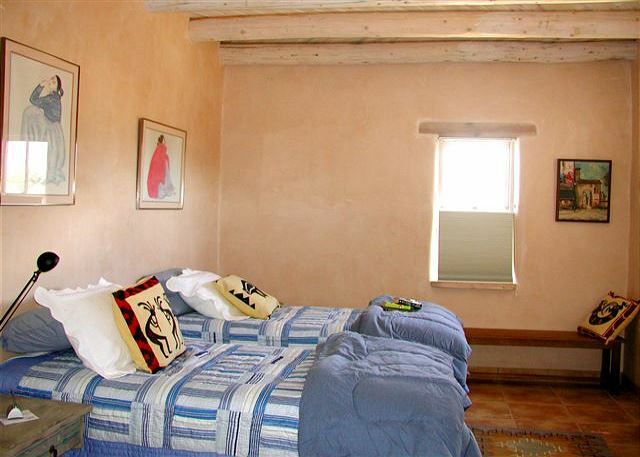 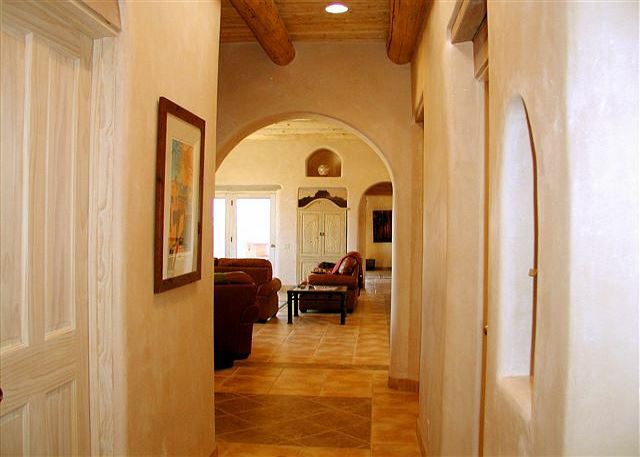 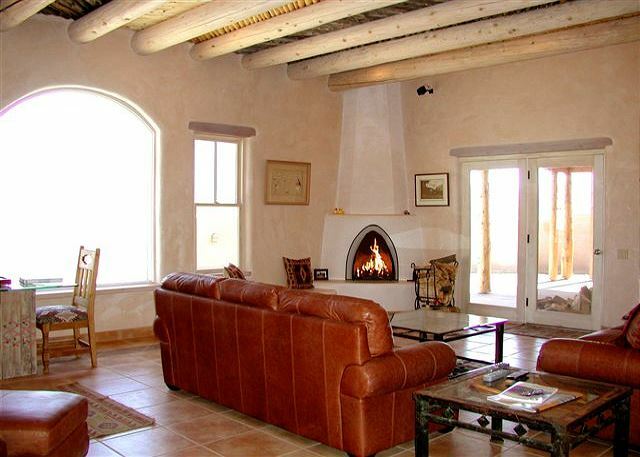 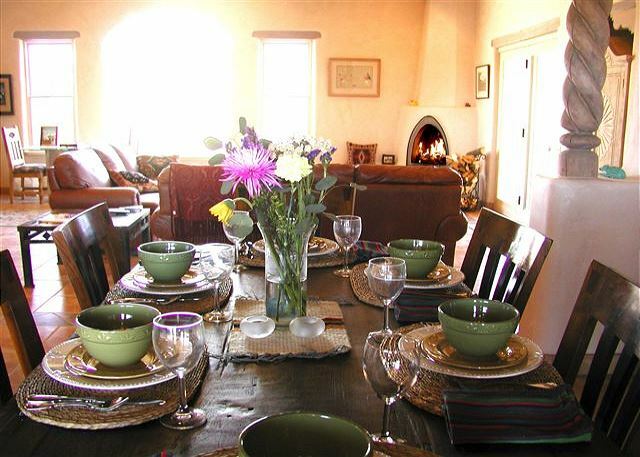 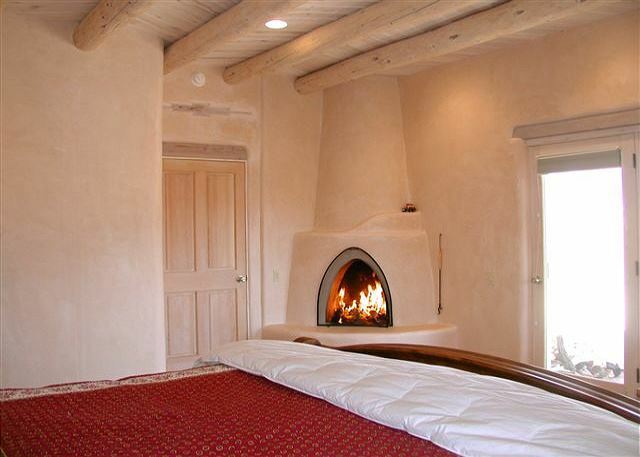 Another one of those outstanding Premiere Properties Taos vacation rental certain to thrill all guests.